But, also by the numbers, Tesla continues to punch far above its weight in terms of its actual physical presence in the global auto industry. It has one car factory and one partially completed battery factory, in California and Nevada, respectively. Its total manufacturing capacity is roughly 500,000 annually, while the rest of the industry in the US alone can do 14 million. Its market capitalisation is higher than Ford or Fiat Chrysler Automobiles. 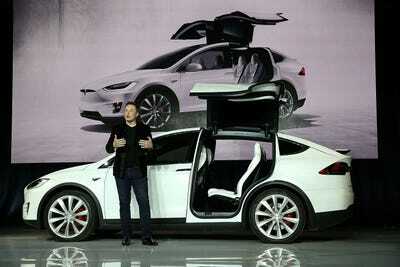 Justin Sullivan/Getty ImagesThe Model X SUV. Regulatory pressures and a rapidly expanding auto market in China are forcing carmakers to rethink EVs, but the economics are anything but worked out. No one is really sure if EV net profit margins will materialise, even though Tesla often touts its 20%-ish gross margins. GMA Chevy Bolt outfitted with Cruise self-driving technology. Number two is mobility as a service. Much of the M&A activity in the industry is now around alternatives to the automobile and is focused on the highly urbanized environments of the future, which could be highly car-unfriendly. Ford just bought a San Francisco scooter startup, Spin, and has already acquired a ride-sharing service in Chariot. 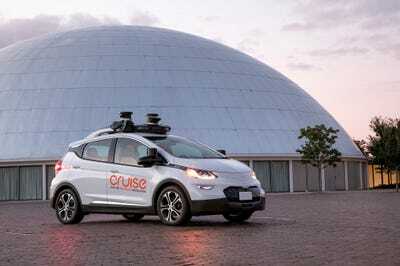 GM has developed a ride-hailing/sharing service, Maven. And various other car companies are doubtlessly planning to use the massive amount of cash they have raked in selling big SUVs for the past few years to make their own moves. Tesla has been talking about a networked transportation service, but it doesn’t yet have anything. Additionally, its very traditional own-lease model for its cars is somewhat incompatible with the notion that customers will want to allow strangers to borrow vehicles that go for $US50,000-$US150,000. There’s nothing quite like getting your Model 3 back with a back seat full of In-N-Out wrappers to turn you off sharing.